A new arrival in the Blow Up family! To our greatest pleasure, once again, Campana brothers and Alessi have collaborated on this coffee table that perfectly fits into the spirit of the collection inspired by Mikado. The idea is to join together steel wires and weld them in a way that different types of objects can be formed. 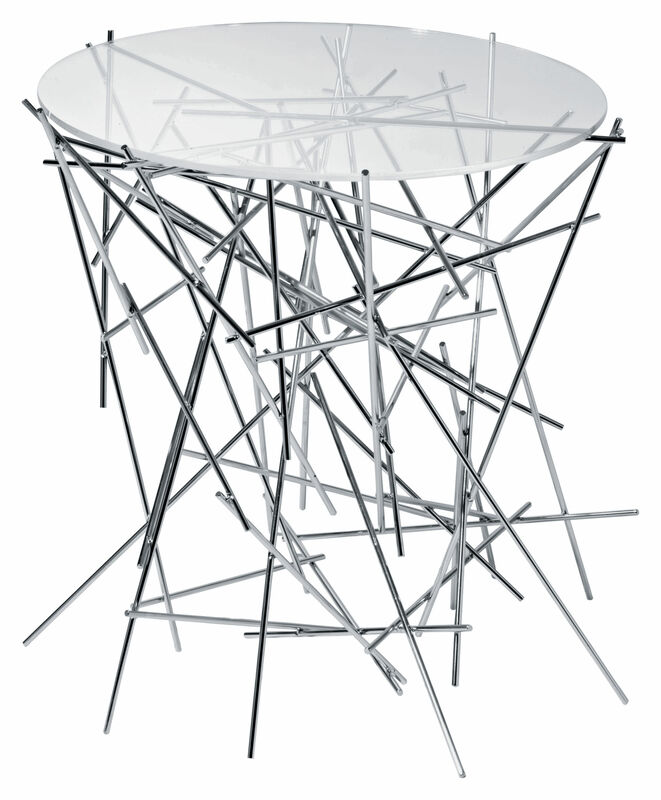 This coffee table features a stainless steel structure and transparent glass tabletop. Within a few years, Campana brothers shook the world of design by bringing a different vision of creating. These Brazilians have brought fresh air of lightness and poetry into European design. Their work is characterised by “using raw materials and searching for poor and recycled materials. With hybrid and sometimes a bit forms they are trying to express the contradictions of urban chaos, drawing on the vitality of indigenous forms in order to give these objects an authentic character linked to the temperament of the population” (C. Morozzi). “Blow up” is the fruit of their first collaboration with Alessi which shows the exceptional talent of Campana brothers.